Christmas in the Garden event in Silverton, Oregon | A festive holiday event with lights, artisan vendors, music, Santa, and more! Tickets for 2019 Christmas in the Garden are on sale now! Enjoy an immersive holiday event based on a traditional European-style Christmas Market, where you can experience the sights, sounds and smells of the season. 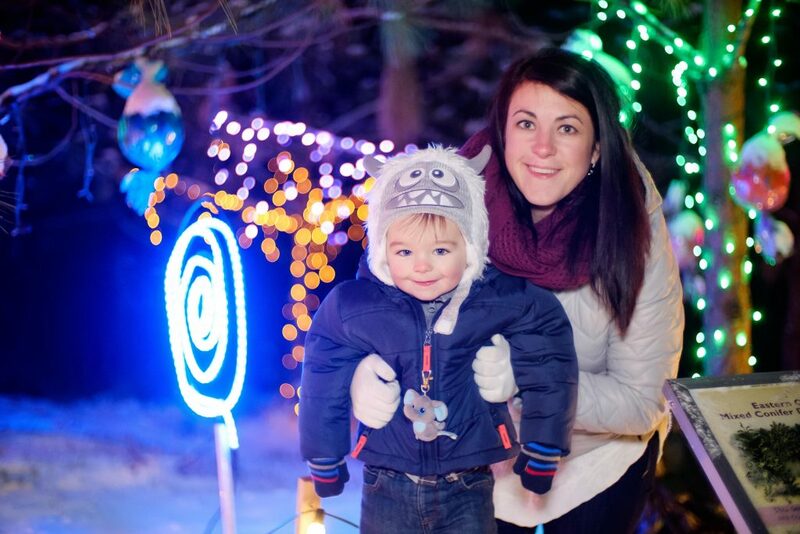 Stroll through the forest and our one million lights, while sipping a warm, spicy gluhwein. Feast on a variety of international dining options from pizza to fondue. Explore our Market vendors and find the perfect Christmas gift. Enjoy music from choirs and cozy up to a wood-burning fire pit. Those more adventurous will enjoy ice skating or snowless tubing, while the rest of the crew watches from the comfort of our fully-covered, heated tents. Our event is designed for friends and family to linger, enjoy time together and experience the traditions that make this time of year so special. Make it a Winter Getaway! The event is adjacent to the Oregon Garden Resort. Resort guests enjoy on-site parking, expedited event entry, and the opportunity to stay awhile and enjoy all that downtown Silverton has to offer. Book your 2019 Christmas package now! In the event of extreme weather like ice, wind or lightning, for the safety of our guests and staff, we may choose not to open or shorten our hours. Please check here or our Facebook page for closures and hours of operation during questionable weather conditions.